If you are looking for a job that is related to Data Engineer, you need to prepare for the 2019 Data Engineer interview questions. Though every Data Engineer interview Questions is different and the scope of a job is also different, we can help you out with the top Data Engineer Interview Questions with answers, which will help you take the leap and get you success in your Data Engineer Interview. 1. 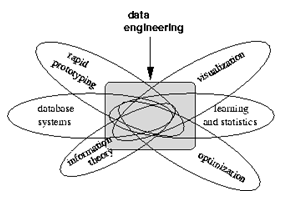 What is Data Engineering? Data engineering is a term which is quite popular in the field of Big Data and it mainly refers to Data Infrastructure or Data Architecture. The data generated by many sources like social media, mobile phones, www(internet) are raw data. It needs to be transformed, cleansed, profiled and aggregated for Business needs. We can call this raw data as Dark Data which we will shine the light on to make this Dark Data useful. The practice of Designing, architecting and implementing the data process system which will help to make the data converted to useful information is called as Data Engineering. 2. Explain Daily Work of a Data Engineer? 3. Do you have experience with Data Modelling? 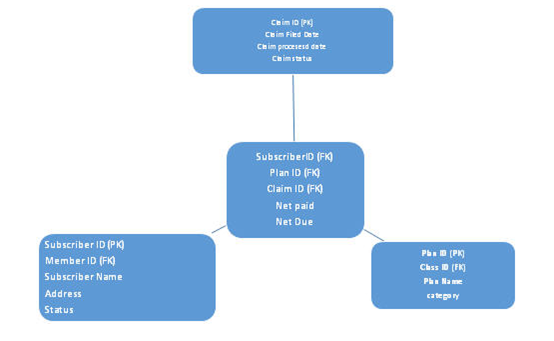 One can say that he/she has worked on a project for a finance/health insurance client where they have used ETL tools like Informatica/Talend/Pentaho etc. to transform and process the data fetched from a MySQL/RDS/SQL Database and sends out these information to vendors that can help increasing their revenues. One can show below high-level architecture of data model. 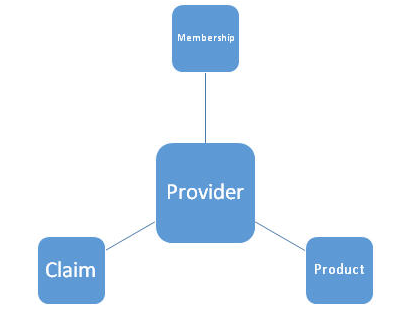 It consists of a primary key, entity, attributes, relationship, constraints etc. 4. 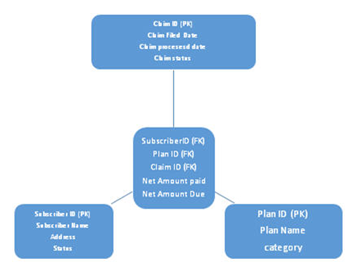 What are different types of design schemas in Data Modelling? Explain with an Example? 5. Which ETL tool you are using and how this is best compare to others? One can say that he/she has used Informatica as the ETL tool because of many points, first and foremost is that as per Gartner Magic Quadrant for Data Integration Tools Informatica is positioned as a leader for the 10TH consecutive year. It is easy to use and learn and has features to connect with a different variety of source data and data types, re-usable components and features that make it most favorite for ETL developers. It also has its own scheduler that is another advantage, where other ETL tools have to use an external scheduler to schedule the jobs. 6. Which technologies/Programming language one should have/Learn to be a Data Engineer? Apart from these, one should have problem-solving, analytical and architectural knowledge of database. 7. What are some common problems faced by data engineers? 2. Storing Huge amount of data is one issue, the information from that data is another issue. 3. Which tools can be used which will give the best performance, storage, efficiency, and results. 4. Does the storage scale? Suppose how to know that for processing the entire set of data how long it will take? 6. How to deal with failures, is fault tolerance there or not? 8.How Is Data architect different from Data Engineer? Data Architect is the person for managing the data, especially when one is dealing with different numbers of a variety of data sources. One should have in-depth knowledge of how a database works, how data relates to business problems and how the changes will disturb the organization’s data use and then data architect will manipulate/transform the data architecture according to them. The main responsibility of Data architect is working on Data warehousing, development of data architecture or enterprise data hub/warehouse. Whereas a Data engineer help with installing data warehouse solutions, data modeling, development and testing of database architecture. a. RDBMS are schema oriented DB so it is better for structured data not for semi-structured or unstructured data. b. Not able to process unpredictable and unstructured data. c. It’s not horizontally scalable i.e. parallel execution and storing not possible in SQL. d. It suffers from performance issue once a number of users increases. e. It is mainly used for Online transactional processing. To overcome these drawbacks, we can use NoSQL DB i.e. Not only SQL. So, in the project, one can use different types of NoSQL DB like Cassandra, Mongo DB, Graph DB, HBase etc. One can say yes Cloud Computing Environment is ready to move environment for production, development, and testing without thinking of integrating many instances/Linux/window servers together. There are various cloud computing services in a market like AWS (Amazon web services), Azure(Microsoft), GCP (Google Cloud Platform). Cloud computing service provides below features like flexibility i.e. environment will scale up as per requirement, Disaster recovery by taking backups and snapshots, Work from anywhere with VPNs, Secure environment, and environment-friendly as it works on commodity hardware i.e. general-purpose computers which are low in cost. 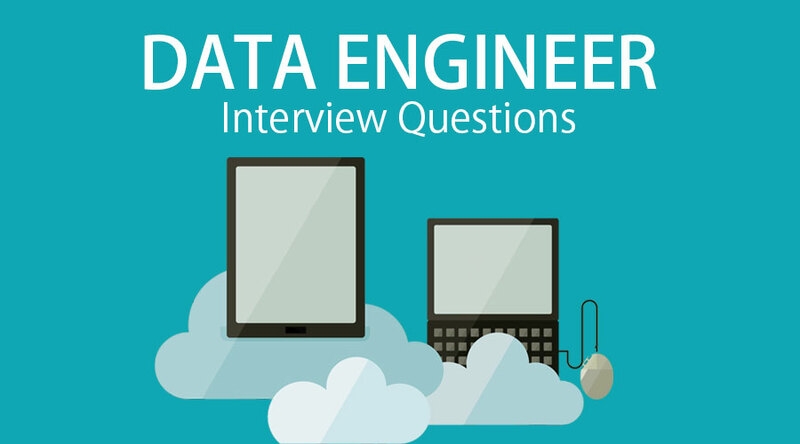 In the above blog, we have kept the most asked interview questions on Data Engineer and how one can answer this by giving feature points.